It seems money, and the sudden lack of it, may be driving the action this season. Walt is desperate for money, so he wants to keep cooking, even if Mike doesn't want to help and Saul suggests they drop out. More to the point, the discovery of Gus' offshore bank accounts (which, admittedly, was handled a little roughly last week) has put the pressure on some of Gus' employees, most of which are Mike's guys. One of the concerned parties is a woman named Lydia, who we meet in this episode, who sort of strikes me as being similar to Tilda Swinton's character in Michael Clayton. She's high strung, in over her head, and doesn't know how to operate with the pressure of the DEA finding her out hanging over her. This led to a funny scene in a diner where she tries to have a meeting with Mike like they were in an old school spy movie. Mike finds it all too ridiculous, however, and he also refuses her offer to pay him to kill off Gus' old employees. So she turns to another of Mike's guys, but Mike inevitably and obviously kills the guy (though not before poor, sad sack Chow gets offed). Mike was then going to kill Lydia, but instead decides to use her to get a key ingredient to making meth, so Mike can then take Walt's offer to be a business partner with him and Jesse. So now Walt and Jesse are planning on getting back into the game, Mike has joined with them, providing key muscle, this Lydia woman is a wild card, and the DEA is hanging around. As we learn from Mike's interrogation at the hands of Hank and Gomez -- which was a great scene -- pretty much all of the money is gone or frozen, having been seized from Gus' account. This leaves a lot of desperate criminals in need of cash. Mike doesn't budge, but not everybody is Mike. This was a very Mike heavy episode, he was basically the main character, and Jonathan Banks certainly managed to pull it off. We don't know much about Lydia yet, other than she doesn't seem cut out for this. I presume she will end up cracking. Also, I heard Dan Fienberg complain about this character on the Firewall and Iceberg podcast, stating something to the fact that she is another unlikeable woman on a show with a few of them. This isn't a big deal to me at all. How many likeable male characters are there? Few, if any. Plus, all the real awful people have been men. Skyler is probably the most flawed female character, and she's no Walter. It's not like Lydia is standing in for all women. She is a woman who is a character. Not an issue, and Fienberg certainly seemed to be overblowing things. This isn't a Todd Phillips film. We had the second startling cold open in as many episodes, this time finding ourselves in Germany, at the titular Madrigal, who had ties to Gus' meth operation. A guy who has worked with Gus, instead of talking to the police, kills himself. Since this is a Vince Gilligan script, he does it with a defibrillator, and since it is a Vince Gilligan script, he does it after spending time solemnly eating tater tots with a variety of new sauces. It seemed like a set piece, but it was a really good one. Walt was his typical repulsive self in this episode, even with limited screen time. 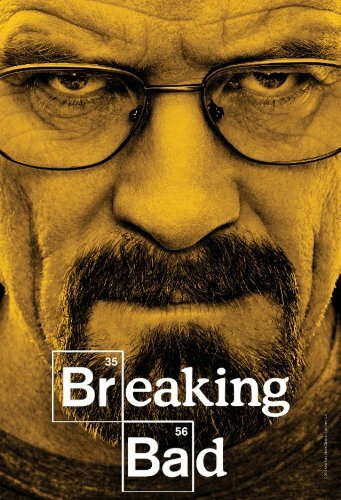 First, he helps Jesse "find" the ricin cigarette, and Jesse is so upset that he almost killed Walt he begins to cry. Walt then consoles him, even giving him a backrub. Of course, we know the truth, making the scene rich in dramatic irony. Later, he gives a shaken Skyler pretty much the worst "It gets better" speech ever, telling her that she'll get used to all the awfulness of their life, and then he just kept kissing her as she lied there with fear upon her face. Skyler seems primed to crack as well. One last quick thing. When Hank, Gomez, and their outgoing boss are enjoying some booze, the boss talks about having Gus over for a party, and how he had been operating under his nose all this time, and the camera rests on Hank. Could this be foreshadowing? Might Hank be suspecting Walt soon? He has to eventually, right? This was another good episode of Breaking Bad, but it also felt like another episode where they move pieces around. Still, as a fan of the show, I am used to that now. They have set the season in motion. I am intrigued to see where it is going. I know it is going to pick up, and I expect some great episodes before this half-season is over. I think Walt's motivation is far more about power and ego than money at this point. He could easily "retire" to the now profitable car wash at this point, pay back Jesse over time, and possibly get his family back for real over time. But that's not what he wants -- he wants to be Heisenberg.